We are one of the leading manufacturers, supplier, stockist and exporter of Ammonium Acetate in India. 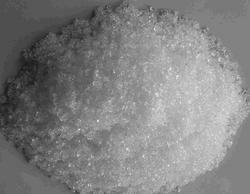 AMMONIUM ACETATE is a white crystalline solid. The primary hazard is the threat to the environment. Immediate steps should be taken to limit its spread to the environment. It is used in chemical analysis, in pharmaceuticals, in preserving foods, and for other uses. Ammonium acetate, also known as spirit of Mindererus in aqueous solution, is a chemical compound with the formula NH4CH3CO2. In agricultural chemistry used as reagent for determination of soil CEC (Cation Exchange Capacity ) and determination of available potassium in soil, the ammonium ion acts as a replacement cation. We are catering the purest and most effective range of Ammonium Acetate which is formulated with the help of our chemical engineers. The ammonium acetate offered by us is available in extra pure forms. Owing to its salient features, the ammonium acetate is the white crystalline hygroscopic compound with least assay in it. 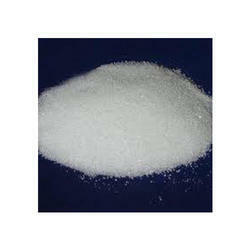 Ammonium acetate is the ammonium salt of acetic acid. It is a natural acid produced by bacterial fermentation and oxidation of natural products.